In the past, the rules governing military retirement requirements and the pay that went along with them were easier to understand, and more generous as well. Today, as with many issues of life, they have become more complicated. All members of the Army and Air Force who have more than 20 years of service automatically receive the “retired” classification, and they are given retired pay. Note that, in all cases, in regard to the law, both retainer pay and retired pay are treated in precisely the same way. These do not resemble civilian retirement plans because there is no “vesting,” matching funds provisions and special accounts do not exist, and no interest is accrued. 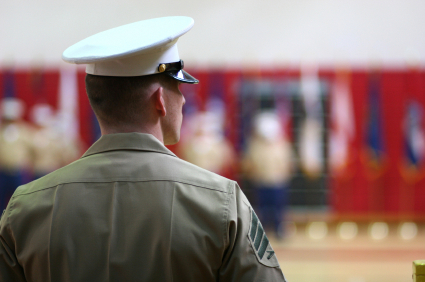 In the military, an individual simply qualifies for retirement pay by serving honorably for the required number of years. Category III – Includes health care professionals and warrant officers retiring after reaching the age of 60, and those retiring with a disability. For those who began active duty on or before September 8, 1980, the amount of their retirement pay is calculated by multiplying what is known as their “service factor” by their base pay at the time they retired. For anyone who began active duty after that date, the base pay is the average of the highest 36 months of pay they have received, and the initial cost of living adjustment (COLA) is reduced by 1%. When those who entered military service after July 31, 1986, have been in military service for 15 years, they can choose to participate in the payment program described above, or opt for an immediate bonus of $30,000 and request the “REDUX’ program. When they do, the applicable service factor is calculated by multiplying their years of service by 2½%. Then, it is reduced by one percentage point for every year less than 30 years of service, along with the COLA. At age 62, the “REDUX” system no longer applies, and they begin to receive their “normal” retirement pay at that time. If the military evaluation system rates their disability system at 20% or less, they are eligible for discharge. If the military evaluation system rates their condition as 30% or above and all other requirements are met, they will be retired, based on their disability. If they are separated from military service because of a disability, they may also qualify for monthly disability payments through the Veterans Administration (VA). If their disability is temporary rather than permanent, their status will be determined within a period of five years. To determine whether you will be expected to pay income tax on the state level, get in touch with the taxing authority in the state where you live. Note that your military retirement payments will not be reduced after you begin receiving Social Security benefits, and your retirement/retainer payments will not be subject to Social Security (FICA) deductions. what form[s] do i ned to fill out to have my retirement pay to get started.